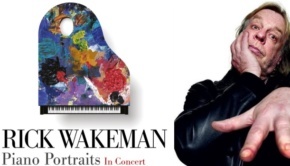 Rick Wakeman has had a somewhat prolific career. A quick trip to Progarchives shows that he was producing more music in the 1990s than in any other decade, a staggering 37 studio albums and 9 live albums. With such a high rate of production, one might accurately guess that the quality control wasn’t always there, and 1996’s Fields of Green is an excellent example of this. With a new pointless make-over by Esoteric, including new Roger Dean-style artwork by Rodney Matthews, let’s examine this monstrosity in all it’s ‘glory’. Interestingly, this reissue starts with a symphonic bonus track included on previous reissues, Election 97/Arthur, which was originally recorded for the BBC Election programme, and included themes from Wakeman’s 1975 track Arthur. 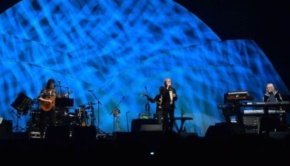 Not a dreadful start, but already the production is lacking, causing the listener to have doubts about the album. 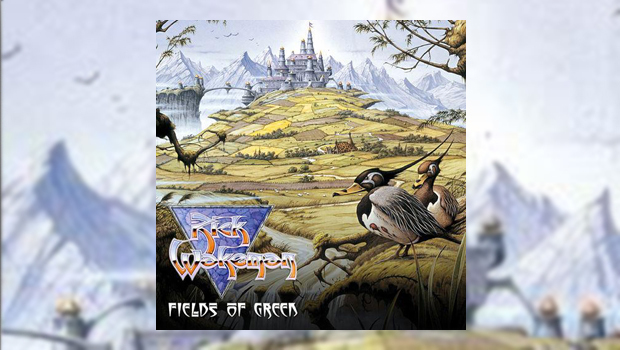 Fields of Green doesn’t have the audacity to make its listeners wait until the end for what they’ve really come to hear, a twelve-minute rendition of the Yes classic Starship Trooper – which of course Wakeman never originally played on. If you’re looking for a blow-by-blow copy of the original, you’ve come to the wrong place (then again, just by listening to this album you’re in the wrong place anyway). It’s safe to say that this is a ‘reinterpretation’ by Wakeman, played entirely on tinny synthesizers with the most awful programmed drums. The timbre of the instrumentation is very upsetting, but it’s clear that Wakeman has his own ideas about how this song should be played. Some of these are interesting, but on other occasions it feels like he just wants to break out into a solo where a solo is not needed. 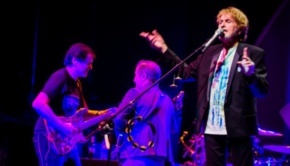 It’s also fair to say that shouty vocalist Chrissie Hammond is no Jon Anderson. And then we have the rest of the album, a sloppy mess of 48 minutes to wade through. I’ll do it so you don’t have to. The first thing to mention is that the drums are godawful. If you can’t find a real drummer, or at the very least a realistic sounding drum machine, you shouldn’t be putting drums anywhere near your music. Even when there are some decent ideas on this album, it’s difficult to fully appreciate them with Stuart Sawney’s sloppy hand at the helm. Sawney is the engineer and mixer of this album and he’s credited with the ghastly title of “percussion programming”. The mix of every track is simply messy and unsatisfying, so even the best ideas sound tame. However, Wakeman has to be accountable for some of this too. Perhaps the most unforgivable track is The Never Ending Road, aptly titled as this atrocity continues for nine minutes. With a mind-numbingly plodding rhythm and bouncing melody that continues ad nauseum, the listener has to wait nearly six minutes for a solo that isn’t even good. Elsewhere, Tell Me Why is a pointless soppy ballad-style track (one of many) that seems so out of place for an artist like Rick Wakeman. The Fighter might just be the most fun track on the album, but it only wins by default. One can tell that if it had been recorded with a real drummer it may have been a halfway decent tune, with it’s slightly more complex instrumental sections and climactic closing section. It’s evident that this is a half-arsed release by all involved: Rick Wakeman has half-arsed an hour’s worth of tunes, Stuart Sawney has half-arsed the mixing and percussion programming and Esoteric have half-arsed this reissue. 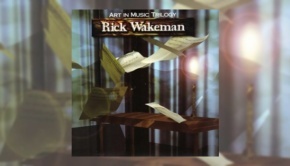 The only artwork in the package is the front cover (nice as it is) repeated over and over again in various arrangements, and one sole picture of Wakeman himself, perhaps from the original release. What’s more, there is no album essay here to give the album context, only the lyrics of the included songs. Really, the only reason Yes fan’s would be interested in this is to hear Wakeman’s version of Starship Trooper, so I suggest trying the instrumental version above (otherwise exactly the same as the version on this album) to start with. Perhaps I’ll stick with No Earthly Connection.